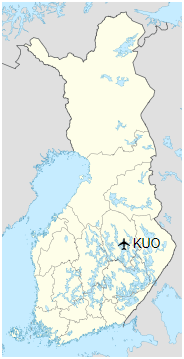 Kuopio Airport (IATA: KUO, ICAO: EFKU) is an airport in Rissala, Finland, about 14 kilometres (9 mi) north of Kuopiocity centre. 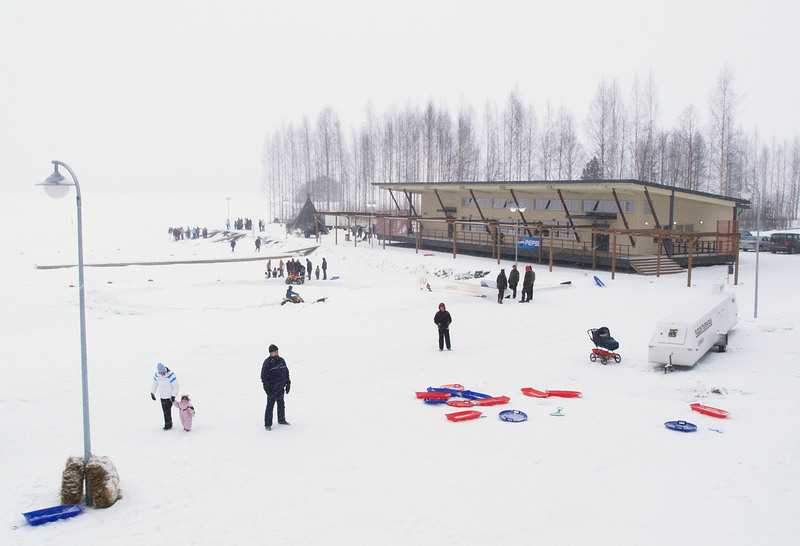 It is the fifth busiest airport in Finland, as measured by the number of passengers (ca. 235,411 (2017). Kuopio Airport was completed in November 1939 and flight operations started in May 1940. It was used by the Luftwaffeduring World War II (1942–43). During the Continuation War the runways were made from plywood. The first terminal building was opened in 1949 before a new one replaced it in 1971. In 2004, Kuopio Airport was chosen as the Airport of the Year in Finland. 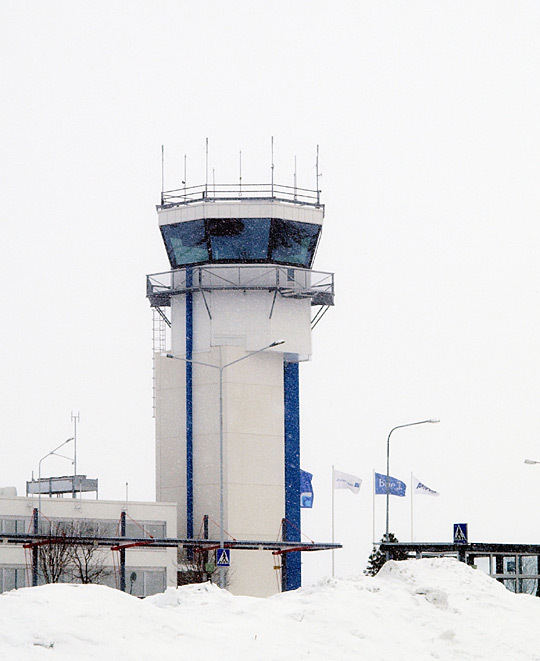 As of 2006, Kuopio Airport was one of only five profitable airports in Finland, thanks to shared use of the runways by the Karelian Air Command of the Finnish Air Force and civilian airlines. Kuopio had its first international scheduled route when AirBaltic operated direct flights to Riga in 2008–2011. A unique airport Lake terminal was completed in March 2008. The terminal is situated some 200 metres (660 ft) from the airport tower. 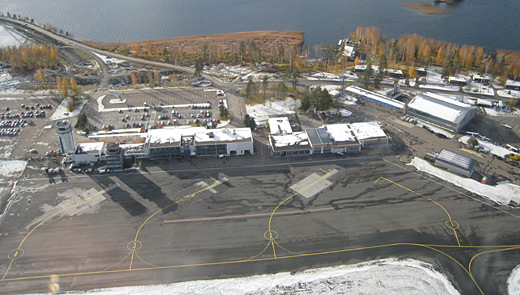 It connects the airport to Lake Saimaa region. Lake Saimaa offers a waterway connection to the cities of the Finnish Lakeland: Imatra, Joensuu, Kuopio, Lappeenranta, Mikkeli, Savonlinna and Varkaus. Vuoksi River flows from Saimaa to Lake Ladoga (Russia). Saimaa Canal connects Saimaa with the Gulf of Finland. On 3 October 1978, Douglas C-47A DO-10 of the Finnish Air Force crashed into Lake Juurusvesi when attempting to return to Kuopio Airport. The aircraft was on a military flight to Helsinki Airport when an engine failed shortly after take-off and the decision was made to return to Kuopio. 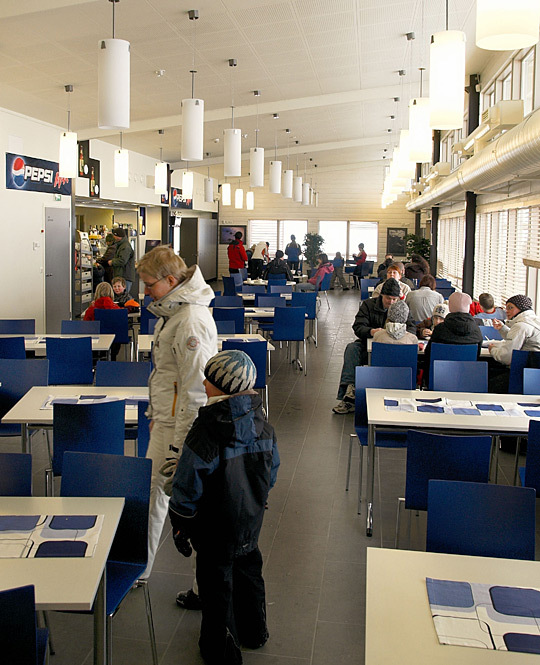 Kuopio Airport is also home of the Finnish Air Force’s Karelian Air Command and the Fighter Squadron 31 (HävLLv 31).